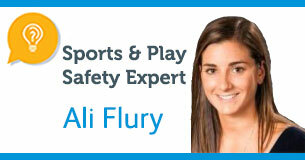 This week's Ask the Expert column helps parents find the right balance between safety and fun on the playground. "I want my kids to explore and have fun at the playground but I also want to keep them safe. What’s the best way for me to make sure there’s a healthy balance between safety and letting them take chances?" Playgrounds are great place for kids to build strength, coordination and confidence. The best thing you can do as a parent is actively supervise you kids on playgrounds and ensure that your child uses appropriate playground equipment based on age and development level. Every child develops differently, so if they want to try the “big kid” swing, the monkey bars or a more challenging piece of equipment and you feel like they’re ready, go for it. Just make sure you’re within arm’s reach to teach and support them, especially until they get the hang of how to use it on their own.